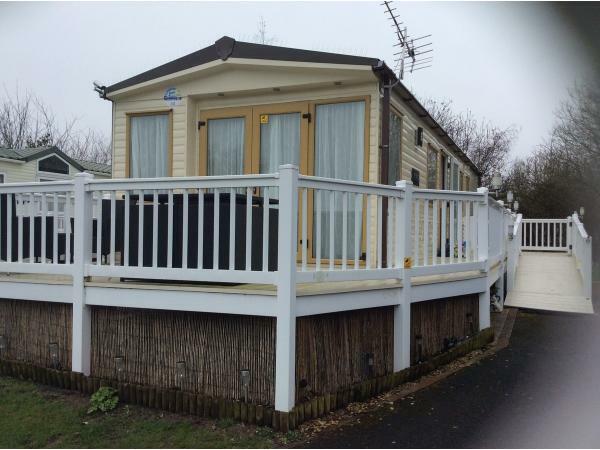 Additional Info: 2 BEDROOM CARAVAN WHICH IS LOCATED IN FISHERMAN'S WAY PART OF THE SITE AND BY THE FISHING LAKE.FANTASTIC VIEWS OF THE LAKE FROM THE FRENCH DOORS LEADING OUT ONTO THE DECKING.RATTAN PATIO SET. A GOOD POSITION FOR THOSE INTERESTED IN FISHING OR JUST LOVING THE VIEW! LARGE KITCHEN AREA,COSY LOUNGE . 2 BEDROOMS,ONE WITH EN-SUITE. PRIVATE PARKING JUST IN FRONT OF CARAVAN. 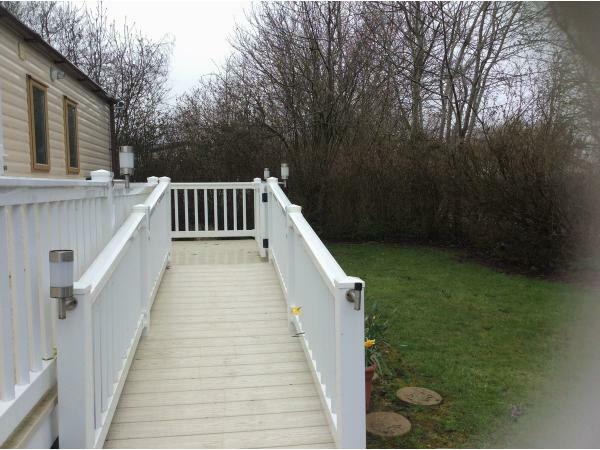 DISABLED RAMP ACCESS ONTO THE DECKING. 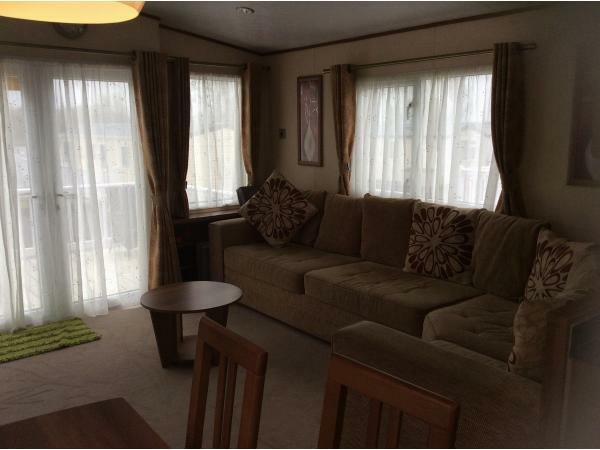 Please refer to my website www.caravanangel.com for details of full terms and conditions. WRAP AROUND COMFORTABLE SEATING AREA WITH SOFA BED BELOW. FRENCH DOORS WHICH LET PLENTY OF LIGHT AND SUNSHINE INTO THE ROOM. T.V AND D V D PLAYER. COFFEE TABLE. LARGE DINING TABLE AND CHAIRS . 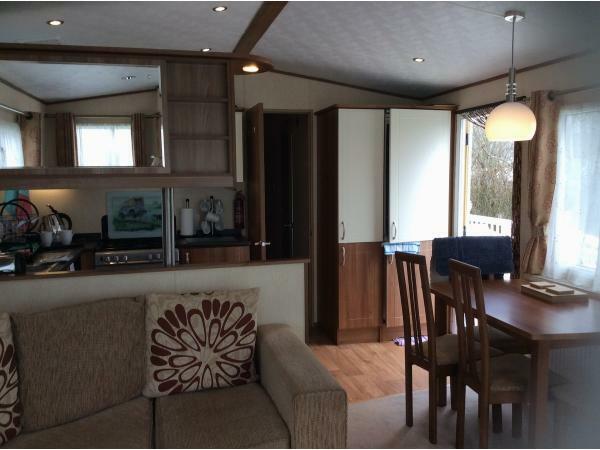 KITCHEN AREA WITH AMPLE BASE AND WALL UNITS WITH PLENTY OF STORAGE AND WORK SURFACES. 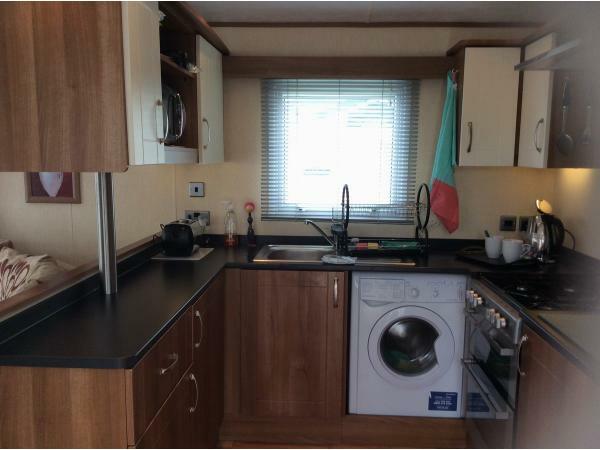 BUILT IN FRIDGE/FREEZER, FULL SIZE GAS OVEN WITH HOB.GRILL AND EXTRACTOR UNIT. MICROWAVE,TOASTER,KETTLE. A WASHING MACHINE IS INCLUDED. ALL THE CROCKERY, SAUCEPANS AND UTENSILS TO CATER FOR YOUR STAY. DOUBLE BED WITH STORAGE CUPBOARDS OVER. 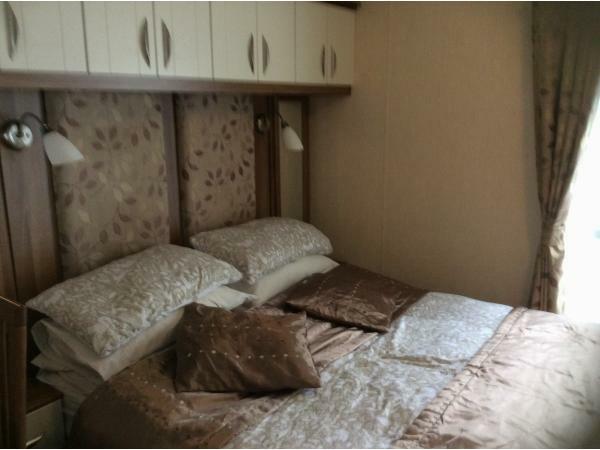 BEDSIDE TABLES .T.V LARGE MIRRORED DOUBLE WARDROBES WITH DRAWERS WHICH ARE VERY SPACIOUS. EN-SUITE WITH W.C AND BASIN. 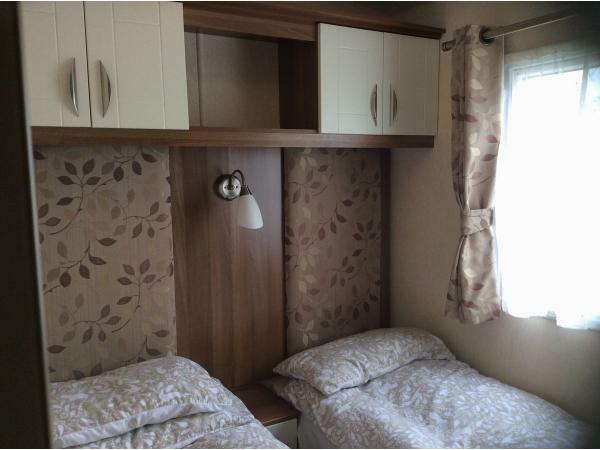 TWIN SINGLE BEDS WITH STORAGE CUPBOARDS ABOVE. BEDSIDE TABLE.WARDROBE WITH MIRROR. Additional Info: LOTS OF THINGS TO ENTERTAIN FAMILIES OF ALL AGES. INDOOR/OUTDOOR SWIMMING POOLS. AMUSEMENT ARCADE ,SHOWBAR ENTERTAINMENT FOR THE EVENINGS, CHECK WITH HAVEN WHAT IS ON DAILY! CHILDREN'S DAYTIME ENTERTAINMENT WITH THE HAVEN CHARACTERS ! PASSES CAN BE PURCHASED ON ARRIVAL IF WISHED.